Kirkwood Mountain Resort sits at the top of the Carson Pass on Highway 88 with a variety of vacation rental options. We are ready to serve your Kirkwood vacation rental needs. Kirkwood Mountain Resort is home to some of the best snow in the western region. Its base elevation is 7,900 feet with 14 lifts, 2,300 skiable acres, 65 designated trails with beginner, intermediate, advanced and expert terrain. Kirkwood Ski Resort also hosts a Cross Country Nordic Center with a beautiful meadow and over 90 kilometers of groomed trails. Thats just the winter. What nobody knows until they spend time here is the wonderful summer hikes waist deep in wildflowers and the 20 lakes within a 5 mile radius. This is family fun for all ages and a serene get away from the hustle and bustle of the city. If the outdoors is on your mind and nature is whats prescribed, then visit Kirkwood to regain your sanity. Our close community is friendly and before you know it, youll be part of the Kirkwood family. 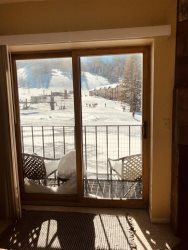 A variety of Kirkwood vacation rentals are available from Kirkwood house rentals, Kirkwood condo rentals and Kirkwood ski leases. Whether you desire a ski-in/ski-out location on the slopes or a large vacation home rental in Kirkwood's East Meadows, we can find what you are looking for. Many vacationers like Kirkwood lodging because it's similar to Northstar vacation rentals only more quaint. Vail Resorts has purchased Kirkwood and now skiers can frequent Heavenly, Northstar and Kirkwood Resorts. Zachariah Kirkwood, a cattle rancher who had settled in the area, opened an inn, named Kirkwood's, in 1863 with the opening of the Amador/Nevada Wagon Toll Road, the primary route through the Sierra Nevada Mountains. The following year, Alpine County was created and the redrawing of the county borders placed the inn at the convergence of Alpine, El Dorado, and Amador counties (the borders were later changed so the inn is no longer in El Dorado County, but the original signpost marking the intersection of the three is still in the building). Eventually, the inn became a fashionable summer resort. After Zack's death, the inn stayed in the family and continued to operate until 1966, when it was sold to an investment group, who then converted it into the present-day Kirkwood Mountain Resort. The original building (still standing) is registered as California Historical Landmark and now called The Kirkwood Inn. Kirkwood Mountain Resort's physical address is 1501 Kirkwood Meadows Drive, Kirkwood, CA 95646 if you are using a navigation system. Please note that Mormon Emigrant Trail is closed during the winter months. This road will likely pop up as the fastest route on your system, so make sure to select an alternate option! Additionally, if Shake Ridge Road or Fiddletown Road appear, select an alternate route. These roads are both very narrow, curvy, and steep - in some areas they have limited or no snow removal and poor cellular service in event of emergencies.